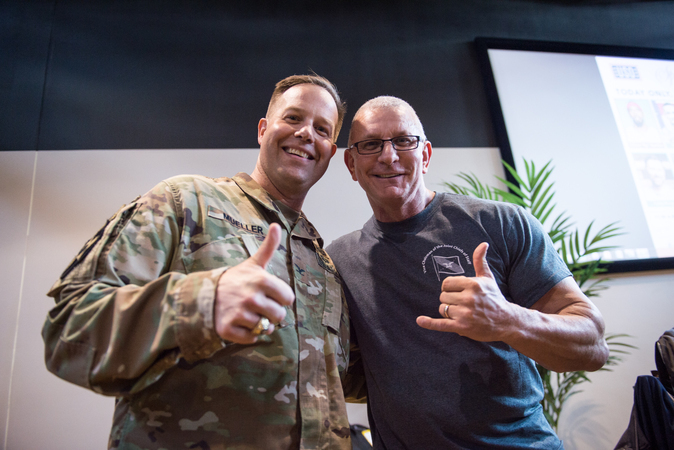 Southwest Asia, the Mediterranean, the Pacific – you name it, Robert Irvine has been there in support of service members and their families. 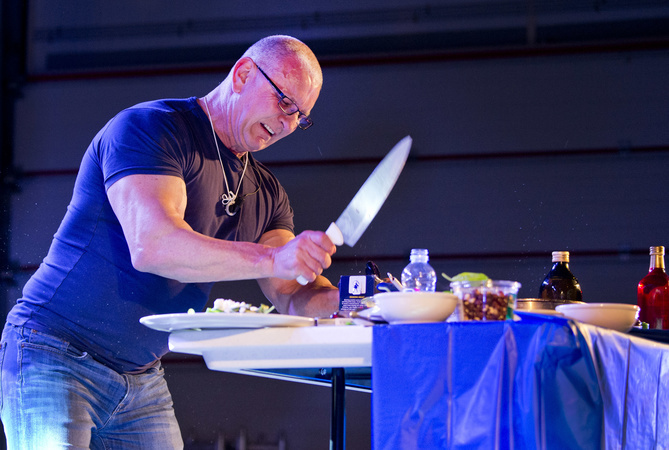 Whether the celebrity chef and TV host is meeting and greeting or performing a cooking demonstration for troops, USO is proud to count Chef Irvine as a strong supporter. “Random acts of kindness by volunteers for service men and their families – that’s something special,” recounted Irvine during his last tour. 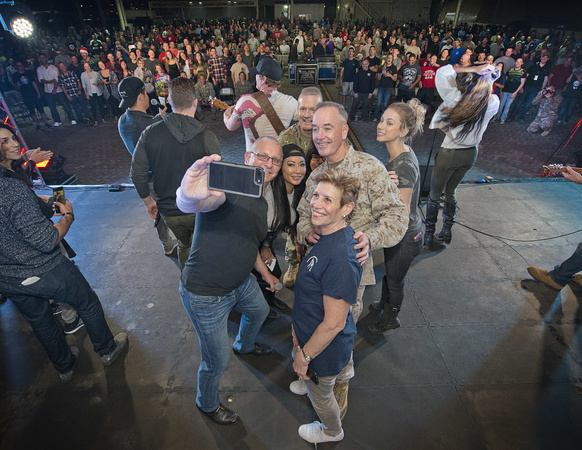 Robert Irvine and his wife, Gail Kim-Irvine, traveled with the USO and other entertainers on the 2017 Chairman of the Joint Chiefs of Staff USO Holiday Tour. 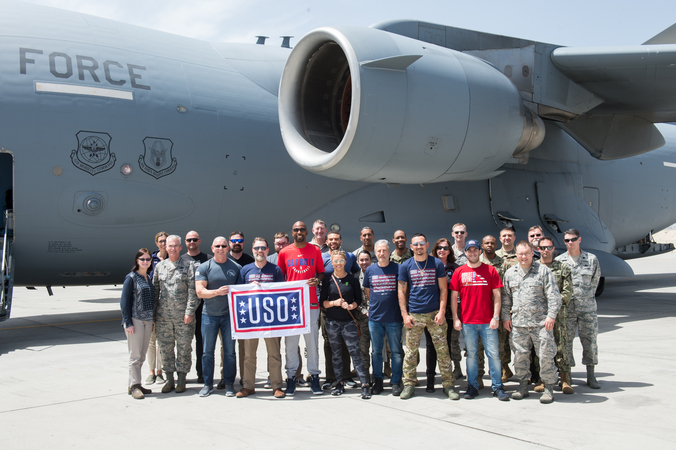 Most recently, Irvine joined the Vice Chairman of the Joint Chiefs of Staff and other entertainers on a special USO tour around the globe. In total, the group entertained over 3,000 servicemen and women in Japan, South Korea, Afghanistan, Iraq and Spain. Check out the photo gallery below to see Chef Irvine in action. Irvine takes the stage at Moron Air Base in Spain. 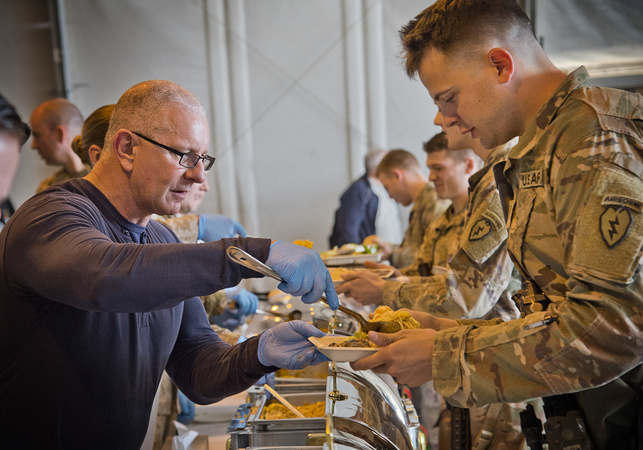 Irvine serves a meal to troops in Bagram. 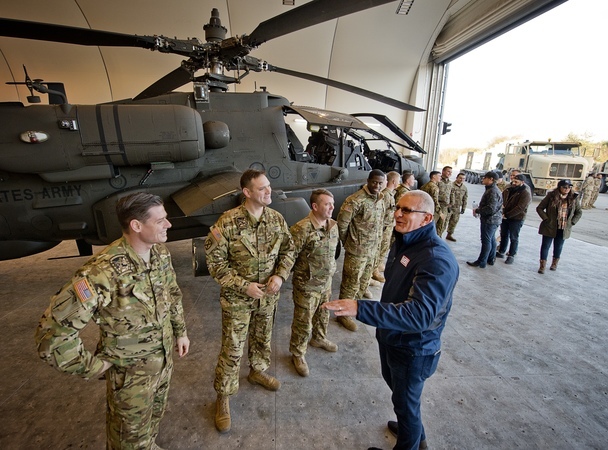 Irvine and the rest of the crew spend day 7 of the tour with service members in Poznan, Poland. Irvine and comedian, Iliza Shlesinger, are all smiles during their holiday USO tour. Irvine and wife, Gail Kim, pose for a selfie with General Dunford and others during their visit to Al Dhafra Air Base. In total, Chef Irvine has visited with and entertained nearly 20,000 service men and women around the globe! Stars from television, film and music joined the Joint Chiefs chairman and the USO on a whirlwind trip to thank deployed troops during the holidays. Celebrity chef Robert Irvine helped kick off a $700,000 WaWa fundraising campaign for the USO and make a few tons of hoagies in the process. The USO Chairman’s Holiday Tour - featuring actors Scarlett Johansson and Chris Evans, retired NBA star Ray Allen, Olympic gold medalist swimmer Maya DiRado, country star Craig Campbell and mentalist and tour emcee Jim Karol - spent a week of visiting troops in Afghanistan, Turkey, Qatar and Germany.